Pixel Classification can be used to interactively label images and to obtain a pixel prediction on unlabeled images. Carving is useful for segmenting objects in images which cannot be discriminated from each other by appearance but which have a visible boundary. 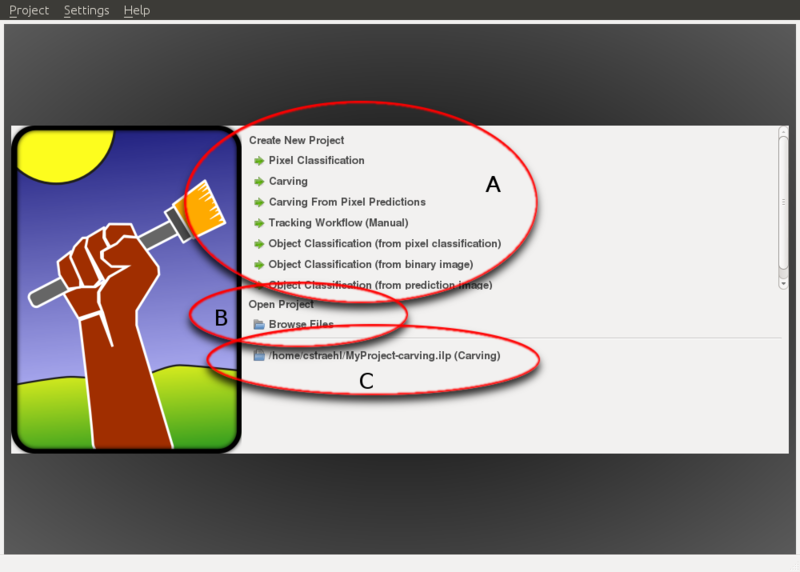 Carving from pixel predictions is a workflow where a pixel prediction of an object boundary is used to segment objects. Object classification allows to train and classify already segmented objects in an image using object level features such as size, orientation, average color etc.